AIDS Legal Referral Panel (ALRP) » Volunteer for Free REAF Tickets! Volunteer for Free REAF Tickets! ALRP is a proud beneficiary of the REAF 2018 Help is On the Way XXIV Summer Concert & Gala! 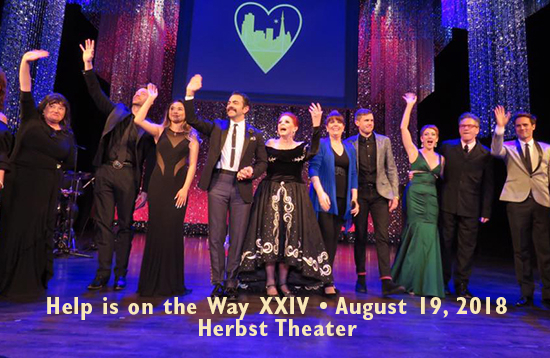 Join us Sunday, August 19th at the Herbst Theatre for an evening of star-studded fun. There are two ways to support ALRP at REAF this year – buy tickets to the REAF Concert/Gala and/or Volunteer. Volunteers may be eligible for free tickets to the show as a thank you for all your hard work!! Click HERE for more event info. Free Gala tickets available for volunteers PLUS free lunch/dinner. Contact Hannah Center to sign up! « Up Your Alley Volunteers Needed! !